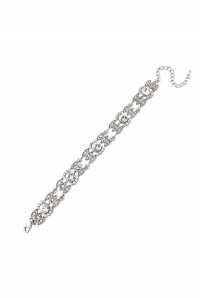 Both exquisite and elegant you'll be boasting about this chic crystal 1920s Style Bracelet all season! Nothing refines your ensemble quite like row upon row of dazzling diamantes and this beautiful flapper bracelet has them in spades. 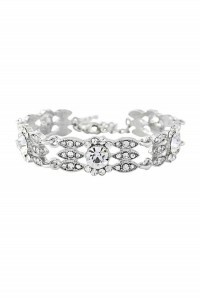 An Ideal gift to give to your girls or an fantastic addition for any formal do this gorgeous Gatsby bracelet adds a touch of glamour and class to any look. 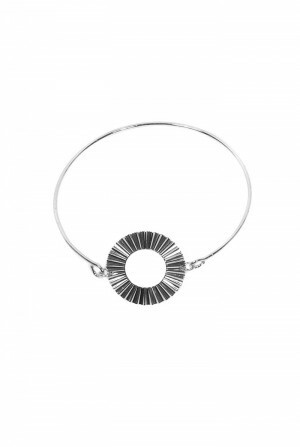 One to treasure, try it out with one of our elegant embellished dresses and some chic crystal earrings to complete your luscious look. 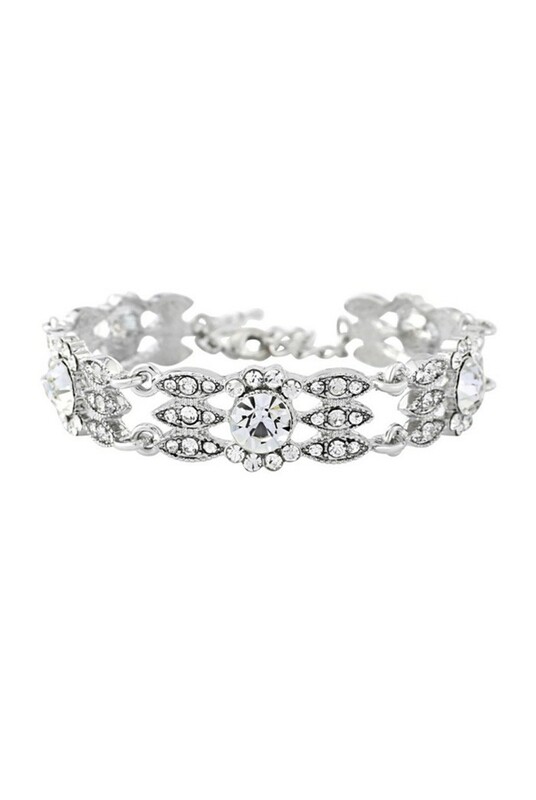 This art deco inspired bracelet features three rows of dainty diamante crystals interwoven with five large crystals set on a silver base. 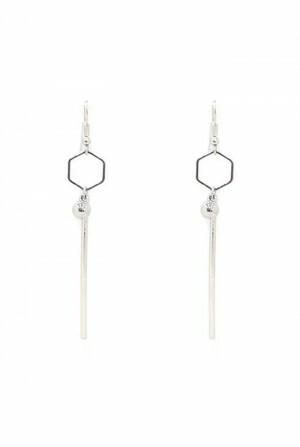 It fastens with an adjustable hook clasp.